The reign of Napoleon I ended in 1815, more than a decade before the world’s oldest surviving photograph was taken in France in 1826-27. 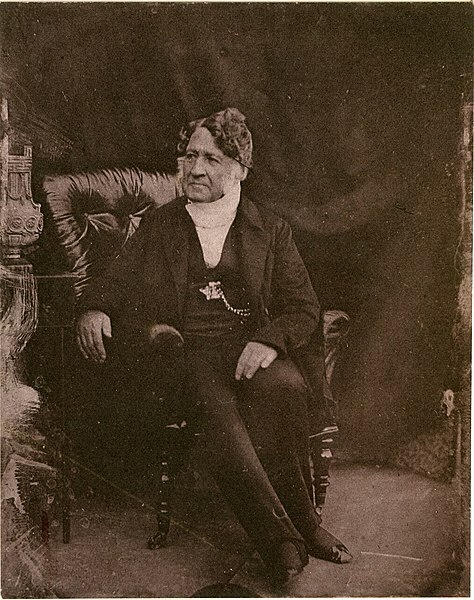 The restored Bourbons were pushed off the throne in 1830, eight years before Louis Daguerre took the oldest surviving photograph that shows people. Yet photographs of members of the royal family from both the First Empire and the Second Restoration exist, as do photographs of King Louis-Philippe, who was forced to abdicate in 1848. 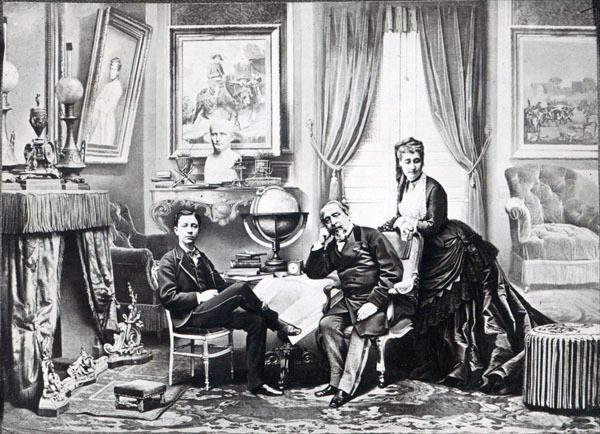 There are numerous photos of Napoleon III and his family, who reigned from 1852 to 1870. 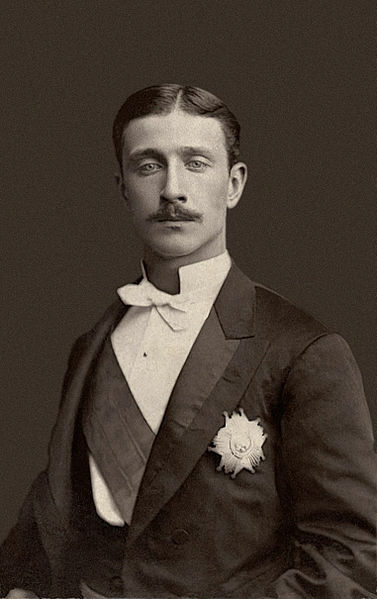 Enjoy these vintage photos of 19th-century French royalty. After divorcing Josephine, Napoleon in 1810 married Archduchess Marie Louise, the daughter of Emperor Francis I of Austria, head of the House of Habsburg. Marie Louise was Empress of the French for four years, during which time she bore Napoleon a son. In 1814, when Napoleon abdicated for the first time and was exiled to Elba, Marie Louise returned to Austria. She became the Duchess of Parma and had three children with her lover, Count Adam Albert von Neipperg, whom she married after Napoleon’s death in 1821. After Neipperg died, she married her chamberlain Count Charles-René de Bombelles. Marie Louise died in Parma in 1847, when she was 56 years old, of pleurisy. When Napoleon had himself made Emperor in 1804, he left his youngest sibling, Jérôme, off the list of new princes. Jérôme had married an American, Elizabeth (Betsy) Patterson, against Napoleon’s wishes. It was only when Jérôme agreed to end the marriage that he was recognized as an Imperial Prince. Napoleon gave him a new wife, Princess Catharina of Württemberg, and the newly-created kingdom of Westphalia, which Jérôme ruled from 1807 to 1813. After Napoleon’s removal from the French throne, Jérôme was given the title of Prince of Montfort by his father-in-law. After Catharina’s death in 1835, Jérôme married a rich Italian widow named Justine (Giustina) Bartolini-Baldelli. Later, under Napoleon III, Jerome served as President of the Senate and received the title “Prince Français.” Jérôme died in 1860 at the age of 75. When Louise Marie Thérèse d’Artois was born at the Élysée Palace, her great-uncle, Louis XVIII, was king of France and her grandfather, the Count of Artois (later Charles X), was heir to the French throne. Louise spent the first decade of her life in the French court. In 1830, revolution compelled Charles X to abdicate and the royal family went into exile. They lived in Edinburgh for two years, then moved to Prague, and then to Gorizia, on the Slovenian-Italian border. In 1845, Louise married her cousin Ferdinando Carlo, the hereditary Prince of Lucca. Four years later, they became the Duke and Duchess of Parma. After Ferdinando was murdered in 1854, Louise served as regent for her young son, Roberto. 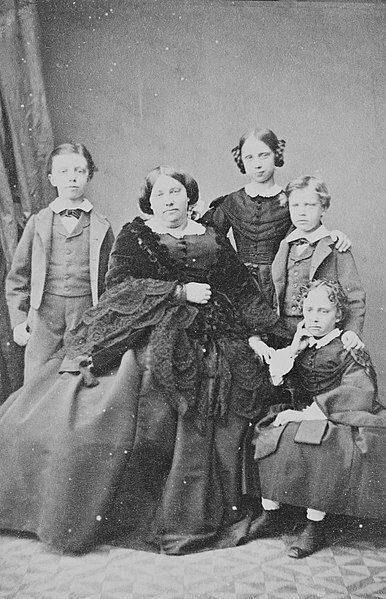 In 1859, the family was removed from power during the Second Italian War of Independence. Louise died in Venice of typhus fever in 1864 at the age of 44. 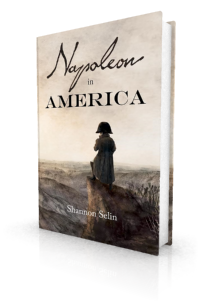 She appears as a young girl in Napoleon in America. Louise’s brother Henri, the Duke of Bordeaux, was born one year after her at the Tuileries Palace. When his grandfather became King Charles X in 1824, Henri became the presumed heir to the French throne, next in line after his childless uncle, the Duke of Angoulême. French Legitimists (supporters of the senior Bourbons) hold that young Henri actually reigned as King Henri V for seven days in 1830, after Charles X’s abdication and before Louis Philippe’s swearing in as King of the French. Henri had an opportunity reclaim the throne after the end of Napoleon III’s empire in 1870, but he did not take it, preferring to remain in Austria in cheerful retirement as the Count of Chambord. He died in 1863, age 62. Henri appears as a baby in Napoleon in America. 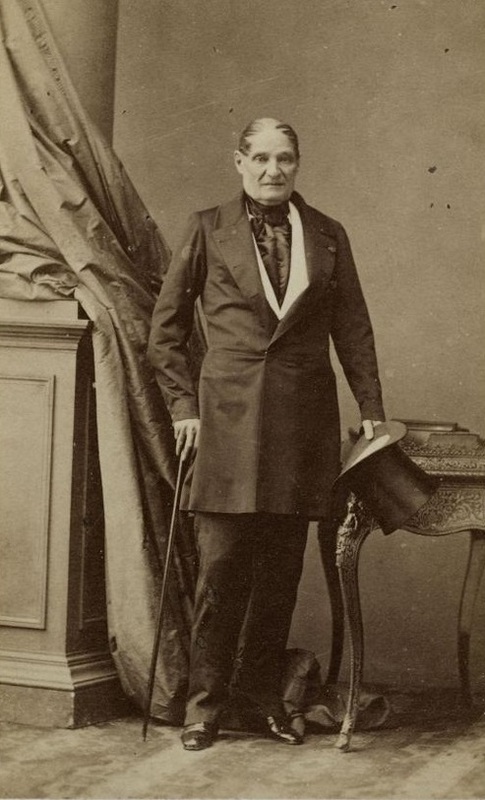 Louis Philippe, a member of the House of Orléans, ascended the throne in 1830, after his cousin, the Bourbon Charles X, was forced to abdicate by the July Revolution. Louis Philippe presented himself as the defender of middle-class interests and was thus known as the “Citizen King.” It was during his reign that Napoleon’s body was repatriated to France from St. Helena. It was also under Louis Philippe that France conquered Algeria. In 1844, Louis Philippe visited Queen Victoria at Windsor, marking the first meeting between French and British monarchs on English soil in some 500 years. 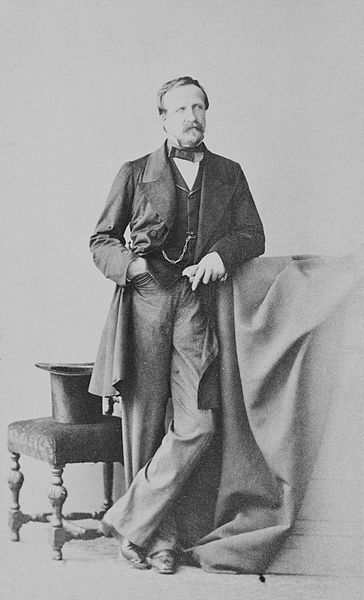 Faced with insurrection in 1848, Louis Philippe abdicated and fled to England with his family. They settled at the estate of Claremont in Surrey, where Louis Philippe was known as the Count of Neuilly. He died there in 1850 when he was 76. 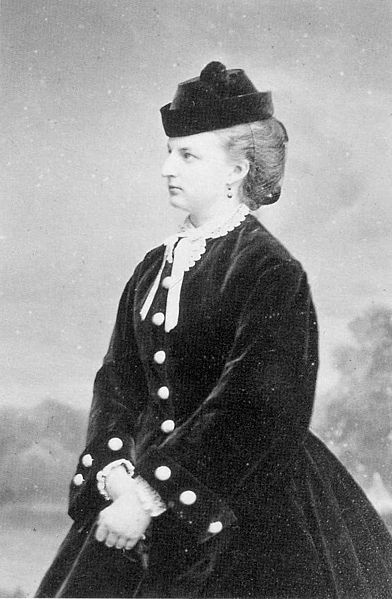 Louis Philippe’s wife, Queen Marie-Amélie, was born as the Italian princess Maria Amalia, daughter of King Ferdinand I of the Two Sicilies and Maria Carolina of Austria (sister of the Austrian-born Queen Marie Antoinette). Marie-Amélie was related both to Napoleon’s wife Marie Louise and to the Bourbon royals of France. She was initially engaged to her cousin, Louis Joseph, the son of Louis XVI and Marie Antoinette, but he died in 1789. She married Louis Philippe in 1809, when they were both in exile in Palermo. She gave birth to ten children over the next 15 years. Remaining loyal to the Bourbon branch of the family, Marie-Amélie did not believe that her husband should accept the French crown when it was offered to him in 1830. As Queen of the French, she was known for her simple personal life and her charity. 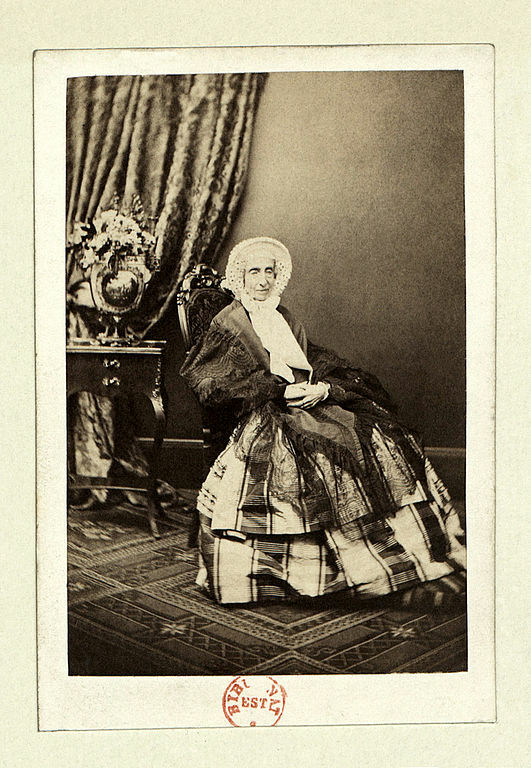 After 1848, she shared her husband’s exile in England as the Countess de Neuilly. 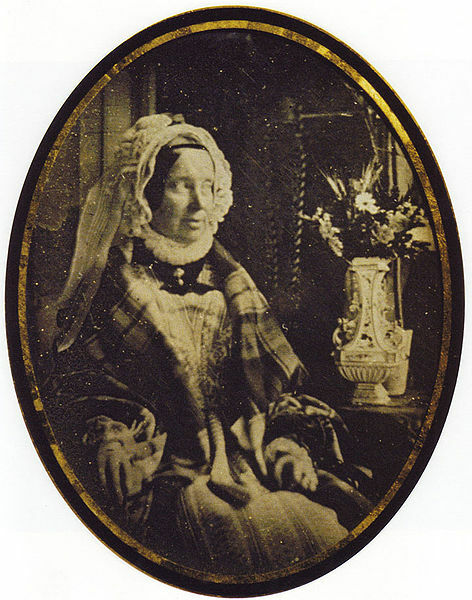 Marie-Amélie died at Claremont House in 1866 at the age of 83. Prince Louis, Duke of Nemours, was the second son of Louis Philippe and Marie-Amélie. He was born at the Palais Royal during the First Restoration. 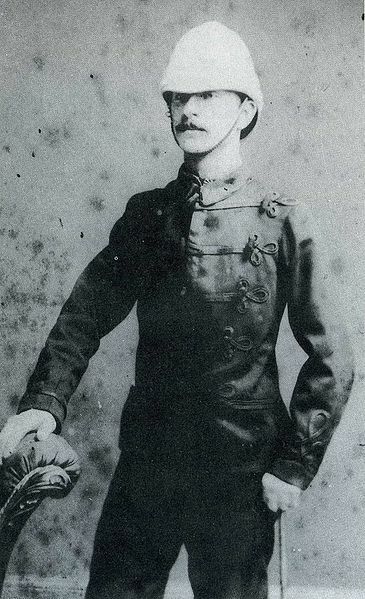 Louis became an army officer, participating in several Algerian expeditions. In 1840 he married Princess Victoria of Saxe-Coburg and Gotha, a cousin of Queen Victoria’s husband Prince Albert. 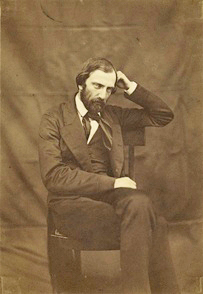 Louis and his wife joined his parents in exile in England after 1848. After his father’s death, he tried to reconcile the two branches of the house of Bourbon. In 1871, Louis returned to France and was restored to his rank as general of division. 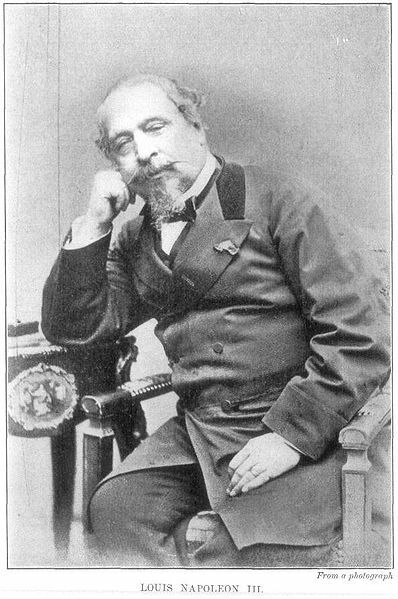 He died at Versailles in 1896 at the age of 81. Clémentine was Louis Philippe’s and Marie-Amélie’s sixth child and youngest daughter. She was born at the Château de Neuilly two years after the Second Restoration. In 1843, at the Château de Saint-Cloud, Clémentine married Prince August of Saxe-Coburg and Gotha. 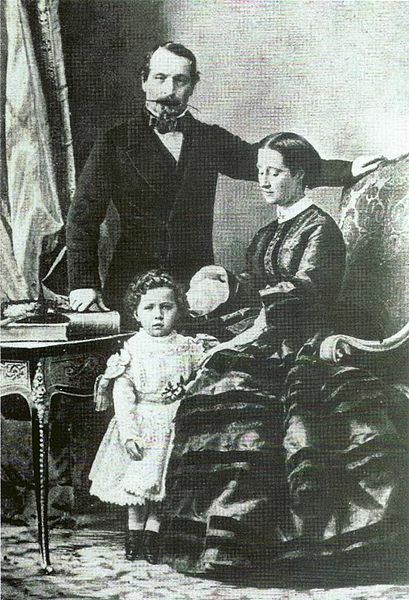 When her father was removed from the throne in 1848, Clémentine and her husband went to Vienna, where August was an officer with the Austro-Hungarian army. After August died, Clémentine lobbied for her youngest and favourite son, Ferdinand, to become Prince of Bulgaria. She moved to Bulgaria as mother of the sovereign. She died in Vienna in 1907, age 89, one year before Ferdinand became Tsar of Bulgaria. François d’Orléans, Prince of Joinville, was the sixth child and third son of Louis Philippe and Marie-Amélie. He became an officer in the French navy and served with distinction in the 1838-39 Franco-Mexican War. In 1840, he headed the expedition to return Napoleon’s remains to France. In 1843, he married Princess Francisca of Brazil. The following year, his success in naval operations on the coast of Morocco resulted in his promotion to vice-admiral. When Louis Philippe was dethroned in 1848, François lost his position and fled to England. He announced his intention to stand in the French presidential election of 1852, but a coup by the future Napoleon III meant the election never took place. 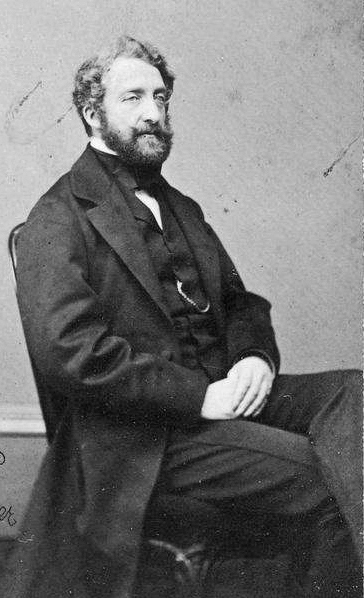 Upon the outbreak of the American Civil War, François went to Washington with two nephews to offer their services to President Lincoln. They were appointed to the staff of Major General George B. McClellan. In addition to being a military advisor, François made over 50 sketches and watercolors of the war. In 1862, difficulties between France and the USA over Mexico caused the Orléans princes to withdraw from the American army and return to England. After Napoleon III’s abdication, François served for five years in the French National Assembly, where his contribution was minimal because of his deafness, which had grown progressively worse since his early 20s. 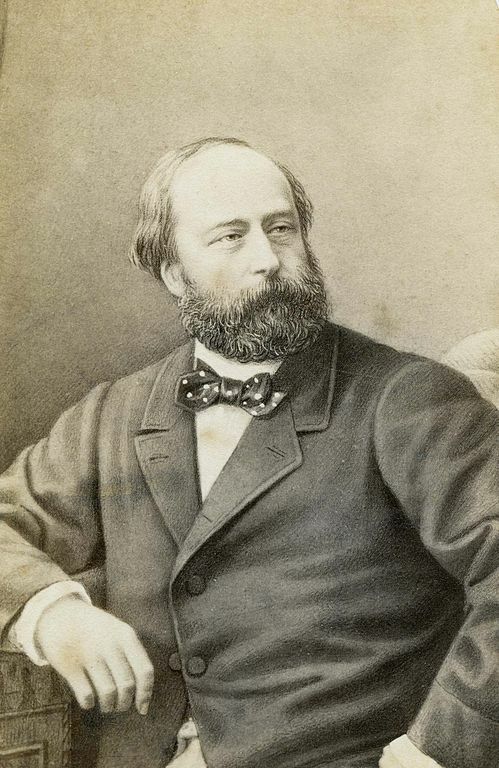 François died in Paris in 1900 at the age of 81. Henri d’Orléans, Duke of Aumale, was Louis Philippe’s and Marie-Amélie’s fifth son. As a boy, he inherited great wealth from his godfather, the last Prince of Condé. He pursued a military career, distinguishing himself during the French invasion of Algeria. In September 1847, he became Governor-General of Algeria, a position he had to give up five months later, when his father lost the French throne. Henri, his wife (Princess Maria Carolina of the Two Sicilies), and their children joined the rest of the family in exile in England. After the fall of Napoleon III, he returned to France and rejoined the army as general of division. In 1879, Henri became inspector-general of the army, but lost the position when a law passed in 1883 deprived all members of families who had reigned in France of their military positions. He died in Sicily in 1897, age 75. In his will he bequeathed his estate of Chantilly to the state, so that his extensive collection of art and manuscripts could be turned into the Musée Condé. Antoine d’Orléans, Duke of Montpensier, was Louis Philippe’s and Marie-Amélie’s youngest son. In 1846 he married Infanta Luisa Fernanda of Spain. Unlike his brothers, he went to Spain instead of England in 1848. During the Spanish revolution of 1868, he supported the insurgents against his own sister-in-law, Queen Isabella II. After he killed Isabella’s cousin, the Infante Enrique, in a duel in 1870, Antoine was sentenced to one month in prison. 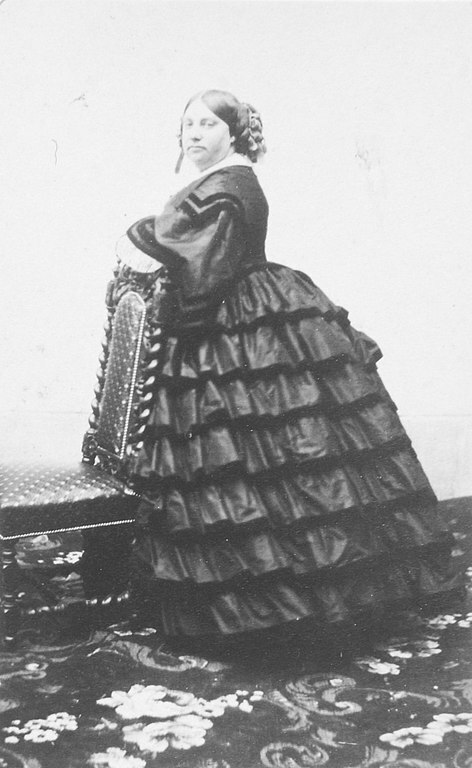 In January 1878, his daughter Mercedes became Queen of Spain when she married Isabella’s son. Sadly she died five months later at the age of 18 without any children. Antoine died in Sanlúcar de Barrameda in 1890 at the age of 65. Born at the Tuileries Palace during the reign of his grandfather King Louis Philippe, Louis Philippe Albert d’Orléans, Count of Paris, became heir apparent to the French throne when his father, Prince Ferdinand-Philippe (Louis Philippe’s oldest son), was killed in a carriage accident in 1842. This prospect ended with the French Revolution of 1848, when Philippe was ten years old. He grew to adulthood in England. 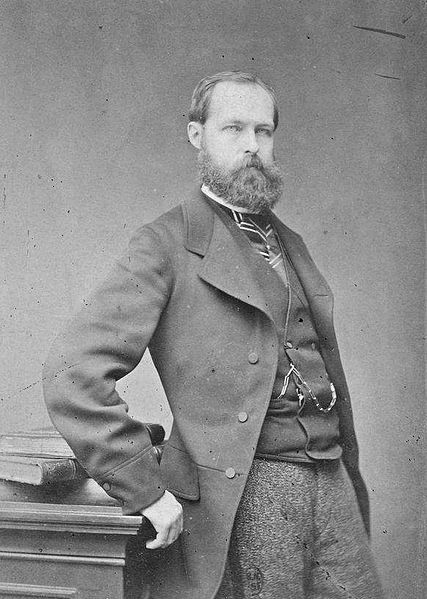 In 1861, Philippe and his younger brother Robert, Duke of Chartres, went to the United States with their uncle François to volunteer for service as officers in the Union army. 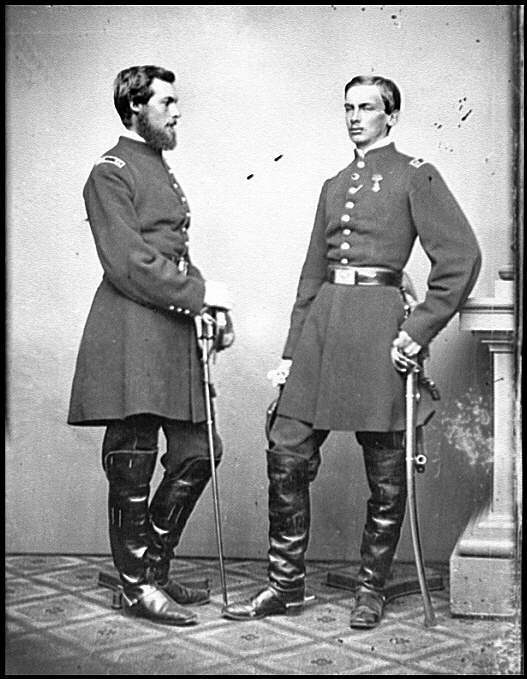 Philippe and Robert were given the rank of captain and served on the staff of Major General George McClellan for nearly a year. After their return to England in 1862, Philippe married his cousin Marie Isabelle d’Orléans, the daughter of his uncle Antoine. They moved to France after Napoleon III’s downfall. 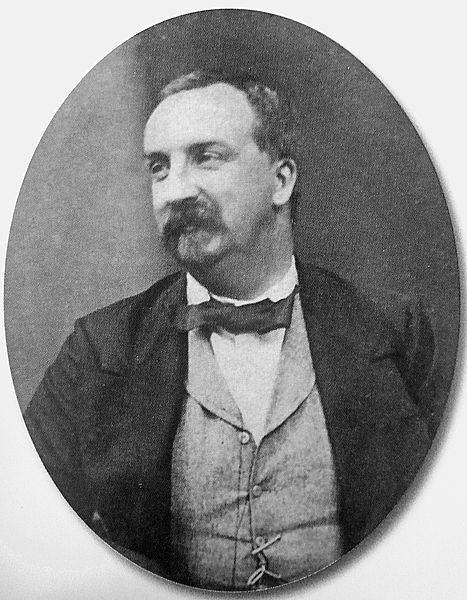 In 1873, Philippe withdrew his claim to the French throne in favour of Henri d’Artois. It was assumed that Philippe would succeed to the throne upon the childless Henri’s death, thus uniting the Bourbon and Orléanist claims to the throne. However, Henri’s refusal to recognize the tricolor as the French flag ended the possibility of a restoration. In 1886, the royal family was again exiled. Philippe died at Stowe House in Buckinghamshire in 1894, at the age of 56. Louis-Napoleon Bonaparte, the son of Napoleon’s brother Louis and Josephine’s daughter Hortense, was elected President of France in 1848. Unhappy with being limited by the constitution to a single term, he staged a brutal coup d’état to remain in power and, in 1852, declared himself Emperor Napoleon III. The new emperor and his family often posed for photographs appearing more relaxed and wearing more casual attire than in their painted portraits, in the hope that their subjects would find it easier to identify with them. Napoleon III undertook steps to modernize France, including the grand reconstruction of Paris. He also increased French influence in Europe, allying with Britain to defeat Russia in the Crimean War, and helping the Italians drive the Austrians out of Italy. His attempt to impose a French-allied monarchy on Mexico ended in disaster. The Emperor’s reign ended in 1870, as a result of defeat at the Battle of Sedan in the Franco-Prussian War. When news reached Paris that Napoleon III had surrendered, the legislature voted to depose him and proclaimed the Third Republic. After a short spell as a Prussian prisoner of war, Napoleon III went into exile with his family in England. He died at Chislehurst in Kent in 1873, age 64. The last Empress of the French was Spanish Countess Eugénie de Montijo. In 1834, her family was forced to seek refuge in Paris, where she received most of her education. President Louis-Napoleon met her in 1849 and was struck by her beauty. He married her in 1853, shortly after becoming Emperor. 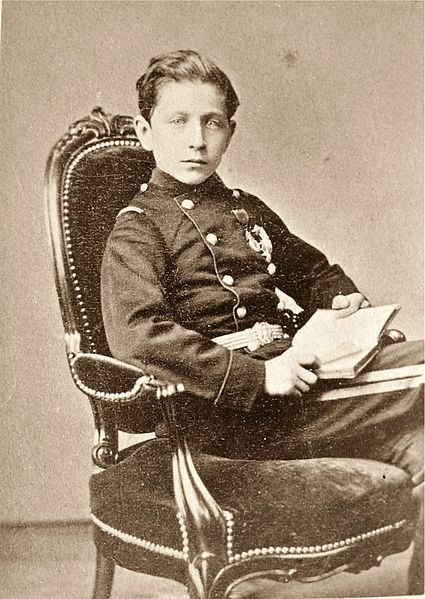 In 1856, their only child, Louis-Napoléon, Prince Imperial, was born. 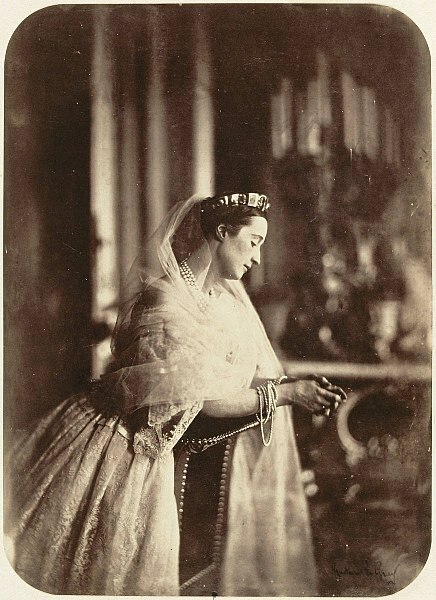 Eugénie brought decorum and style to the role of Empress, acted as an advisor to her husband, and served as regent when he was absent from France. After the fall of the Empire, the imperial family went into exile in England. 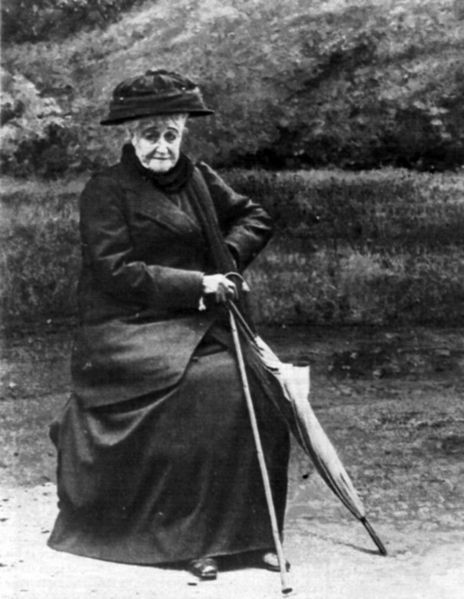 Eugénie was later allowed to return to France. She died while visiting relatives in Madrid in 1920 at the age of 94. Napoléon Eugène Louis Jean Joseph Bonaparte, otherwise known as Louis-Napoléon, Prince Imperial, was born at the Tuileries Palace in Paris. He was doted upon by his parents, Napoleon III and Empress Eugènie. From an early age, he took an interest in a military career. 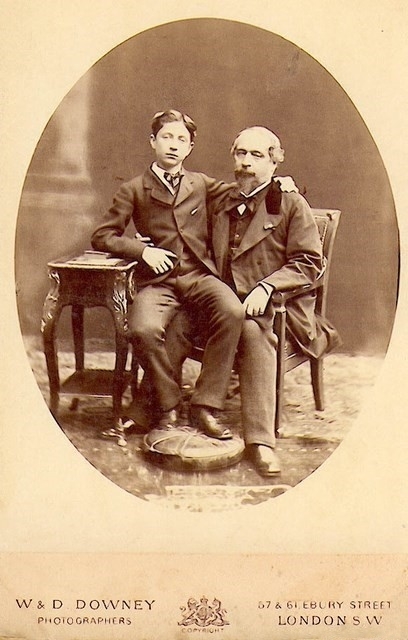 In 1870, he accompanied his father to the front in the Franco-Prussian War. When the war started to go against France, the Prince Imperial was smuggled across the border to Belgium, and from there to England, where he was reunited with his parents after the fall of the Second Empire. In 1872, Louis-Napoléon entered the Royal Military Academy, graduating with a commission as a lieutenant in the Royal Artillery. Keen to see action, he pressured the British government to allow him to participate in the Anglo-Zulu War in South Africa. Prime Minister Benjamin Disraeli refused the request, but Queen Victoria intervened and Louis-Napoléon was given permission to go. In 1879, he was killed in a skirmish with a group of Zulus at the age of 23. 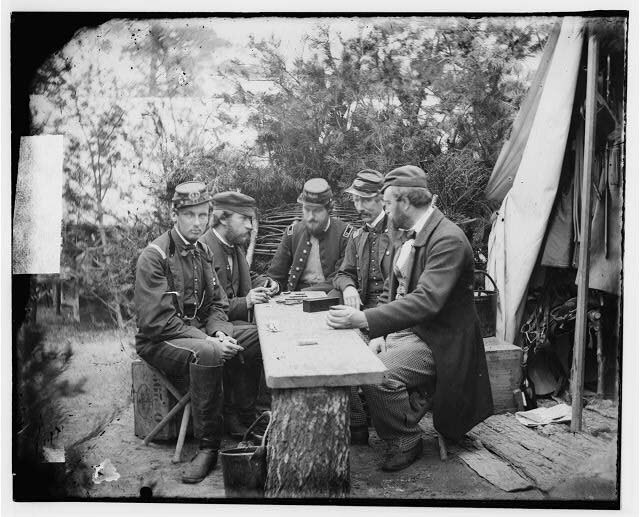 Great photos and a very interesting subject, those who participated in the US Civil War especially. Any exploits surely would be interesting too, will have to do some searching. Thanks Shannon! Most enjoyable. Many thanks for a real treat. You’re welcome, Caroline. Glad you enjoyed the article. Thank you for a fascinating article and fabulous photos! My pleasure, Alix. Glad you liked them. He was a brilliant soldier (he remained a faithful general to his country even after two exiles because of political changes), an entrepreneur and a wonderful art collector, member of the Institut de France. He certainly was more intelligent and open than his cousin the count of Chambord who could have been king of France (most of the French parliament was royalist!) but he just didn’t want to accept the tricolor flag!!! Aumale’s wish was to be buried in his general of the Republic uniform but when he died in Sicily (where he have created a big agricol estate), they didn’t have it so his body was transported in France and buried in civil clothes. He is buried in Dreux, in the beautiful Royal Chapel of the Orléans. His recumbent statue shows him in his uniform, draped in the tricolor flag and holding is actual sword. Thanks, Marie-Noëlle. It’s great to have these additional details about the Duke of Aumale. He does sound like an interesting man. Maybe I’ll write more about Napoleon III in a future post. Thanks for the suggestion. These are great Shannon. Crisp and clear and capturing their subjects so well. Thanks for posting. You’re welcome, Roy. I’m glad you enjoyed the photos. Thrilling to see how Jerome looked,even in old age-an actual sibling of Napoleon. Yes there’s numerous portraits of him but in my opinion a photo is more valuable. 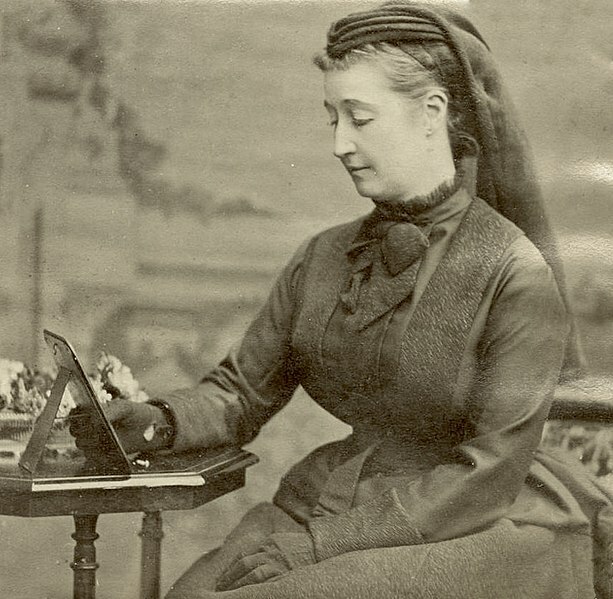 My regret is that Elizabeth Patterson lived until 1879 but never sat for a photograph. A photo of Betsy Patterson would be a real gem. Given her position in society, I’m surprised she didn’t sit for one. Perhaps she preferred to be remembered as she appeared in her youthful portraits. Napoleon III is married to my x5 great grandmother Euginie montijo blah blah Kirkpatrick. Does that mean I’m French and Dutch royalty due to Napolean III and his father Louis of France? 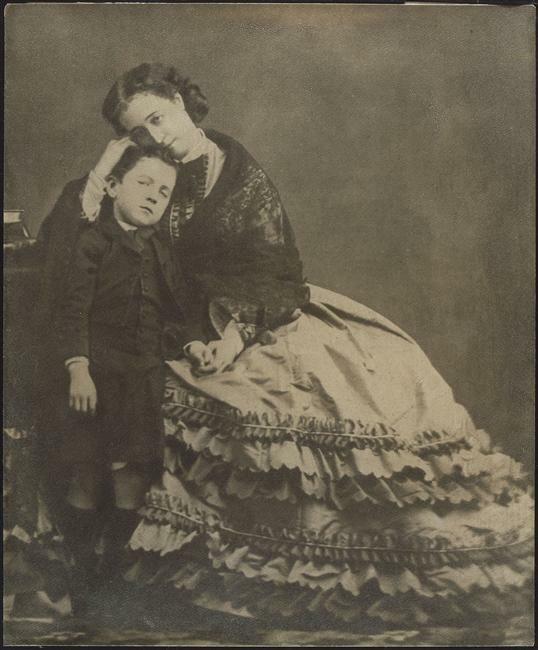 Napoleon III and Empress Eugénie had only one son, who died without children, so she cannot be your ancestor. Napoleon III had at least two children with another woman, but even if you were descended from one of them you would have no claim to royalty because of their illegitimate status. Cerco notizie sulla vita di Francis D’Orleans principe di Joinville, successivamente all’esilio del Gennaio 1852. Notizie di vita privata (possibili amori), viaggi di Francis d’Orleans, principe di Joinville, in seguito all’esilio del gennaio 1852. Je cherche des informations sur la vie de Francis D’Orléans, prince de Joinville, après l’exil de janvier 1852. Nouvelles de la vie privée (amours possibles), voyages de Francis d’Orléans, prince de Joinville, à la suite de l’exil de janvier 1852. Il y a peut-être quelque chose dans le livre de l’amiral Jacques-Gilbert Guillon: François d’Orléans, prince de Joinville (Editions France-Empire, Paris, 1990).